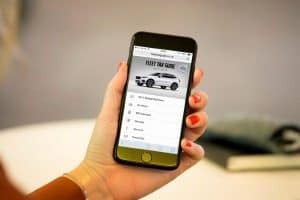 Any companies wondering what goes into funding a new company car can get all the information they need through a new app from Volvo. The free-to-use Fleet Tax Guide app acts as an accurate one-stop-shop for fleets and their drivers to stay up-to-date with relevant obligations and entitlements, such as tax rates and allowances and vehicle excise duty. It should also fill in any knowledge gaps regarding National Insurance Contributions (NIC) rates and thresholds, capital allowances, Benefit-in-Kind (BIK) rates to 2019/20 and fuel benefit multipliers and charges for 2017/18, OLEV and hybrid grant and eligibility criteria, as well as maximum income tax-free rates for payments to employees regarding approved mileage allowance payments and advisory fuel rates. Selwyn Cooper, head of business sales at Volvo Car UK, empathised that all the factors involved in funding a car can make the process ‘quite daunting’. However, he believes the new app should outline exactly what is involved every step of the way. The Fleet Tax Guide is available on all smartphones and the information will always be current and accurate as long as the device is connected to the internet. It can also be found by visiting fleettaxguide.co.uk/volvocars.